Ghee has recently made some major headlines in recent health articles and on television claiming to have benefits of health beauty and beyond. Shots of ghee can be brought in pill form, powder protein, and more. But most people are still not aware of ghee and the real benefits of Ghee when AGED properly. Research has shown the more ghee sits without exposure to sunlight, air, or heat, the more antioxidants and vitamins form. A lot of companies “bottle butter with no benefits” there is no benefits to the butter being used for three main reasons. Low Fat Content – Proper ghee has to start off with the right butter, with a high fat content. A lot of “ghee” companies use butter with little to no fat content at under 50% when the butter is strained there is nothing for the strained liquid to work off. 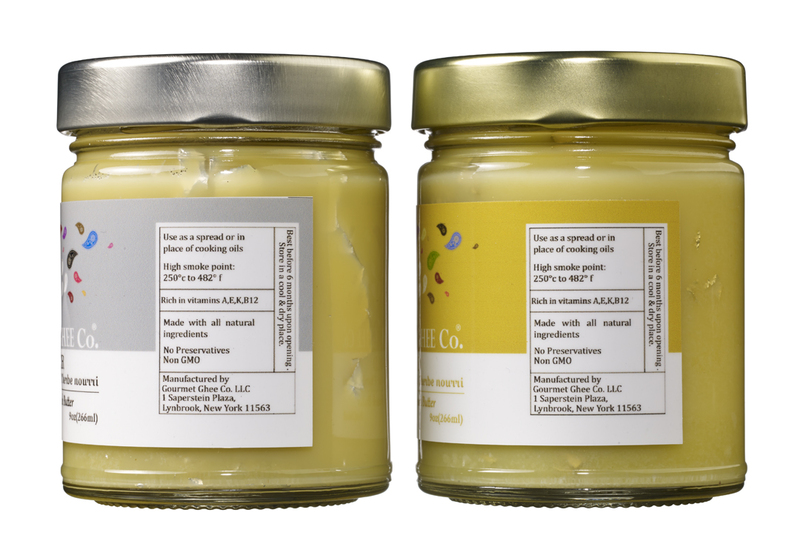 Ghee absorbs the antioxidants and vitamins of the milk fat, without you getting the fat. Essences, aromas, powders, and pills…Oh my! A lot of companies have jumped on the “Bulletproof” band wagon and created different forms of this rich ancient super food. All you need is ghee in a jar cooked right, to get the benefits. Ageing ghee butter using a cooling/heating process is the proper way to make it. It leaves a rich golden color, smooth texture, & hazelnut aroma. Ghee can be used from massaging on the skin, rubbing on the lips, to even melting and rubbing in the hair. With natural collagen producing vitamins (A, E, & K) ghee butter tops the worlds list of rich ancient super foods. Look out for watery or “runny” ghee butter with oil on top, this ghee is usually mass produced using salted butter. When researching and seeing that so many companies make “Ghee” it was hard to see a lot of them covered up ingredients with essences, and used the sales pitch “Grass Fed” to get more customer attention. Grass Fed is an important factor in making ghee, but knowing how to cook it and age it is just as important. 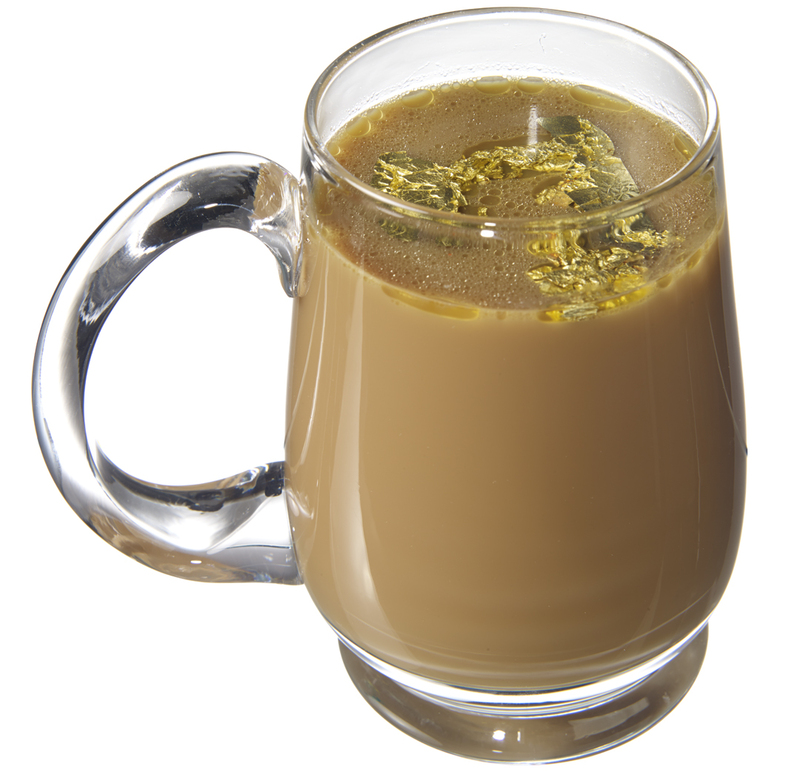 With two very unique flavors on the market; Edible Gold & Edible Silver, you can have the ultimate bulletproof shot with benefits. Indians have been putting gold & silver on desserts for hundreds of years, they knew what they were doing using these two precious metals. As both are natural metals and when released in the body; act as natural astringents and help with digestion. All you need is one-two spoons a day to keep you energized. Many homeopathic doctors claim there is ghee in India that is over 100 years old the benefits are so powerful they are known to break cancer in the late stages. No one has uncovered the whereabouts of this ancient gold liquid but we can keep looking, and in the meantime make ghee in its more traditional form & aged to perfection. 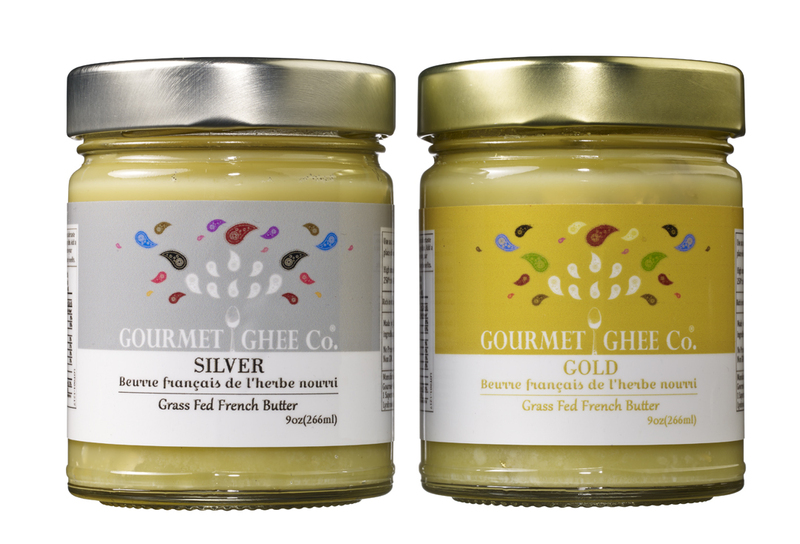 Visit www.gourmetghee.com for more information.